Foothills Biathlete Jenna Sherrington will be joining Team Canada to compete in Europe later this month. Jenna will join her former Foothills teammates Megan Bankes, Darya Sepandj, Reid Lovstrom and Haldan Borglum for the World Youth/Junior Championships in Osrblie, Slovakia. departing Canada January 21st. Team Canada has selected a total of 16 athletes and four coaches to the Youth/Junior World Championship team of which five are from Foothills. Jenna, Reid and Haldan will also represent Alberta at the Canada Winter Games in February. 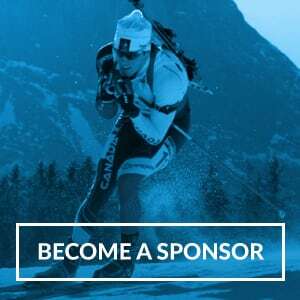 → Alberta Cup Registration Closes January 16th – Volunteers still needed!